Can someone tell me what these pretty girls are? If they are girls? Discussion in 'What Breed Or Gender is This?' started by Peppypap, Jan 6, 2011. Hello! 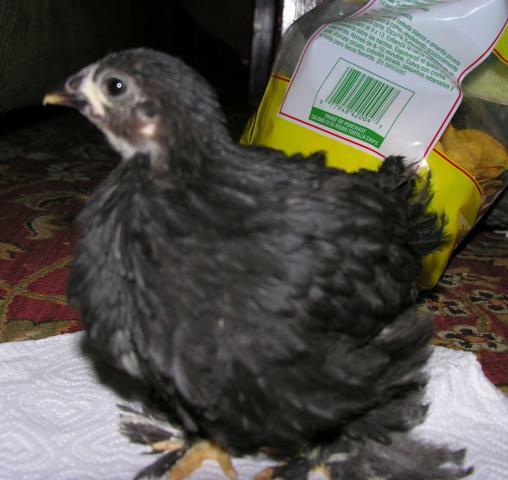 I just got some chicks. 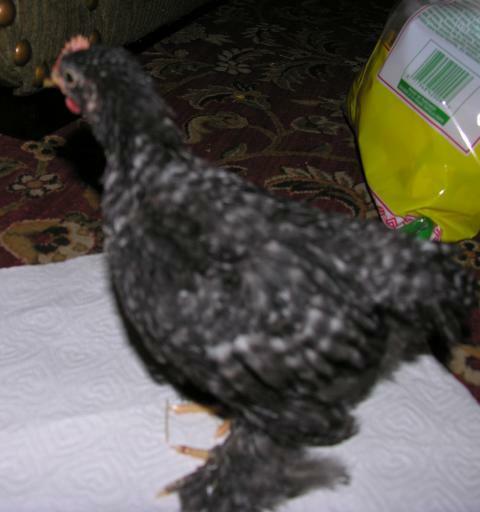 They are supposed to be hens but the person we got them from wasn't sure. I know the black and gold one is a polish, But is it a girl? And I'm not sure about the other two. 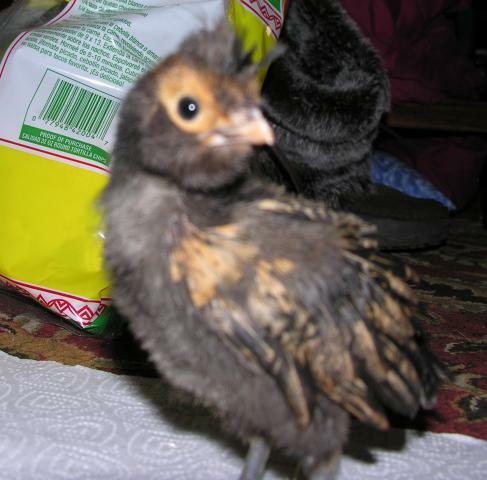 They have some silkie feathering, and the were sold as silkies, maybe a silkie and cochin cross? Some pics of the two Unknown. 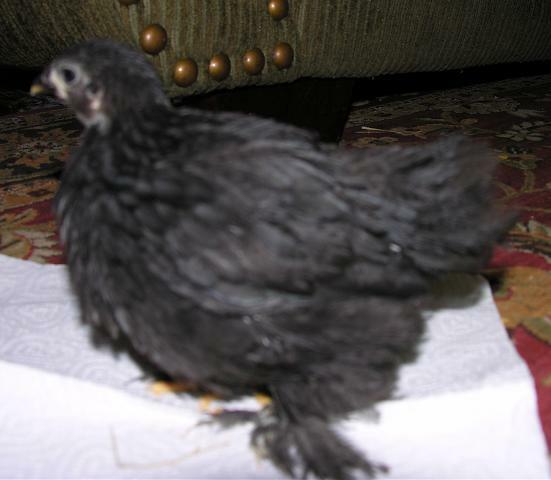 Cochins are a loosely feathered breed, so that is probably why their feathers seem silkie. If Twilight and Violet are the same age, Twilight is a girl and Violet is a boy. either way, Violet is a boy. It's too early to tell on Stella. My polish were easy to tell gender fairly early on. I don't know if all lines are that way, but my boys had mohawks and my girls' crests started filling out early on. Fast fluff - girl. Mohawk - boy. the polish looks like a boy .... then again my definate GIRL polish turned out to be a boy, too. 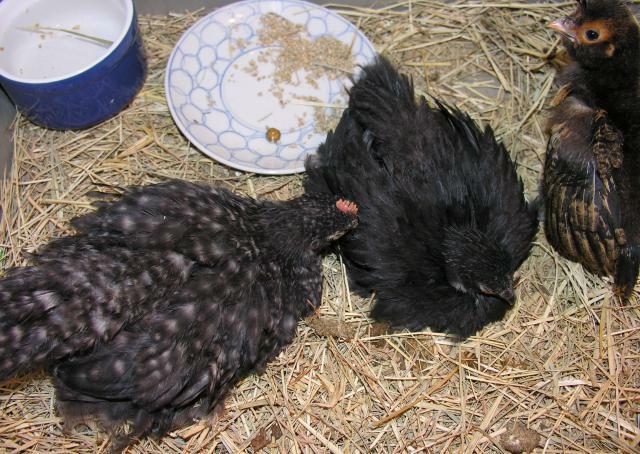 The third chick looks very similar to our barred Cochin. 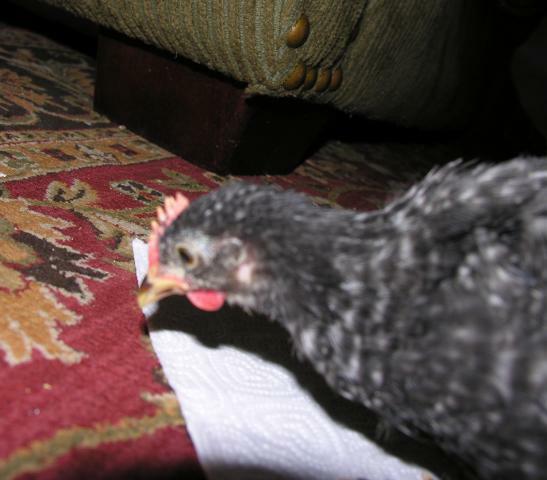 However, your chick is definitely a little roo!